As I unzipped my tent at silly o’clock in the morning I found myself nose-to-beak with a hen. Yes, I was at Red Bank Farm. Red Bank Farm is one of my favourite sites. A quiet site, right by the sea, Red Bank Farm is a site I always recommend to friends. 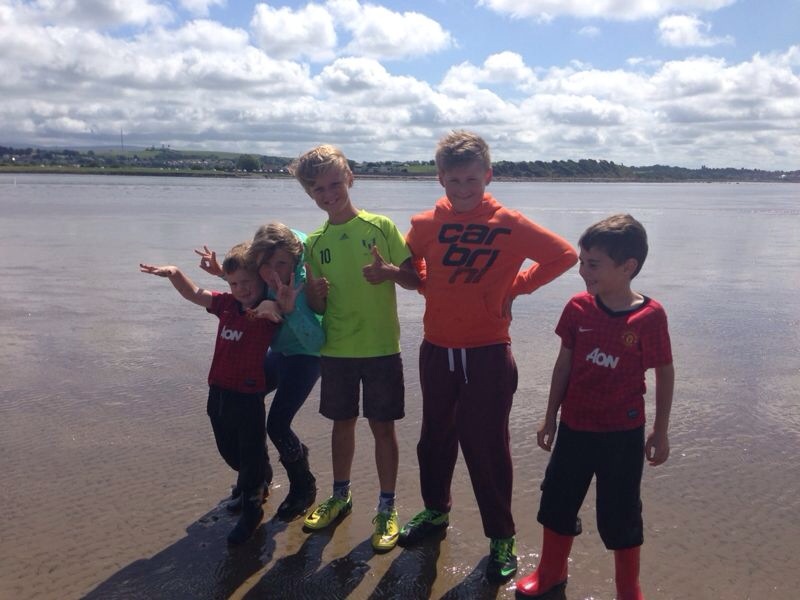 It’s location is Bolton-Le-Sands, just a few miles from the UK seaside town of Morecambe in Lancashire. With a shower and toilet block that’s kept lovely and clean, a little petting zoo and reasonably priced laundry facilities the site has everything you need for a relaxed stay. Not to mention the wonderful on-site cafe which is really more like a restaurant with it’s wonderfully tempting menu and truly welcoming atmosphere. I’m sure their sausage butties contain a miracle hangover cure. We weren’t originally going to stay here this particular weekend, to celebrate my sister’s birthday. We had actually made arrangements to stay elsewhere but due to a change of plan found ourselves pitchless! On the off chance, we phoned Red Bank and they’d had a cancellation. Hooray! 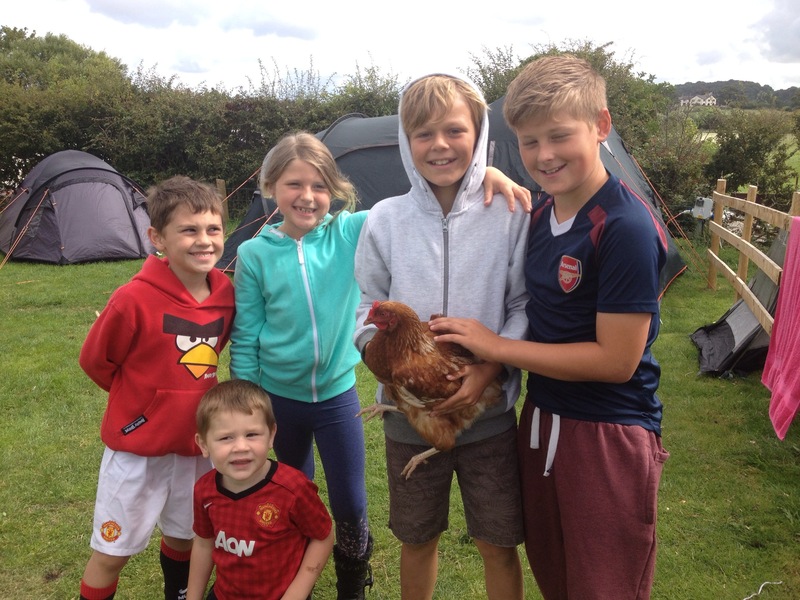 The site is a working farm and part of camping on this farm is sharing your field with some very tame chickens. The kids loved the novelty of having chickens around and immediately asked if they could have one at home (No.). With us being right on the ‘beach’ it would have been rude not to take advantage of the loveliness that is walking the dog in the fresh, crisp morning air at 6am. (I definitely wasn’t nursing a hangover. No, not me!) The peace and quiet was just lovely. 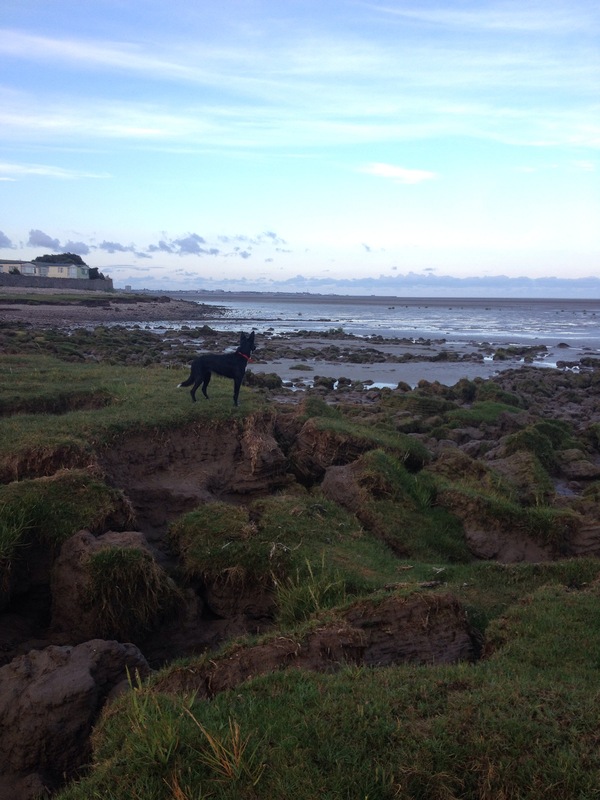 I was armed with wellies – you definitely need them – and the dog was as happy as a … well, as a collie in a salt marsh! As I said, the beach is actually salt marsh and not really suitable for building sandcastles, though that didn’t stop the kids having a ball when their auntie and uncle took them off to get stuck in to some rather messy play. 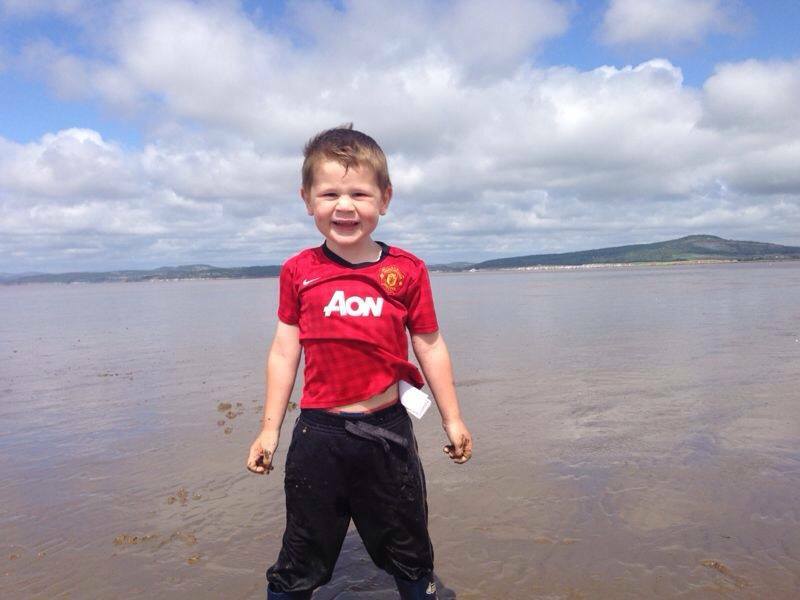 There’s nothing more appealing to my four year old as something as tactile as muddy sand! He had a whale of a time and didn’t want to come back to the tent. All of the children needed a full change of clothes when they got back but the smiles on their faces were worth it. 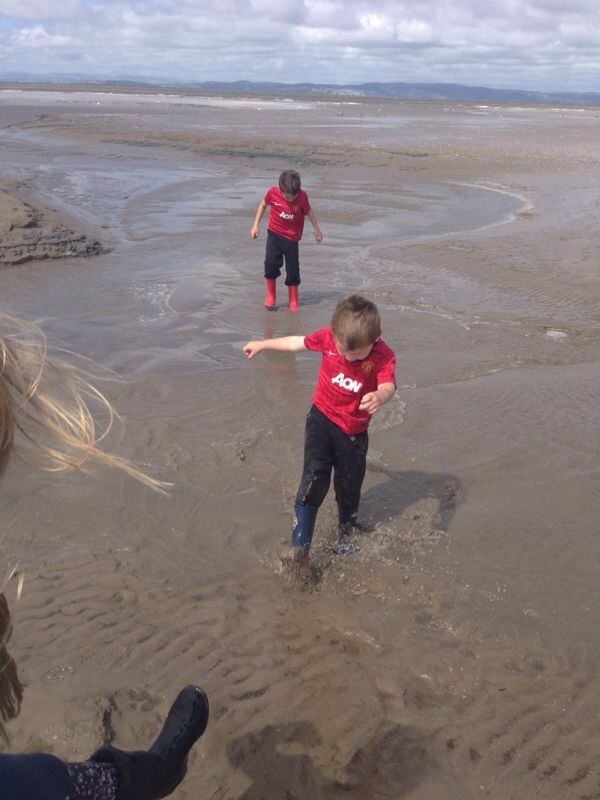 Is there anything more fun than running in puddles on the beach? The children (and some of the adults) spent much of the rest of the day playing football, cricket and rounders. One of the things I love about Red Bank is that the tents are all pitched around the perimeter of the field and there is lots of space for play in the middle. 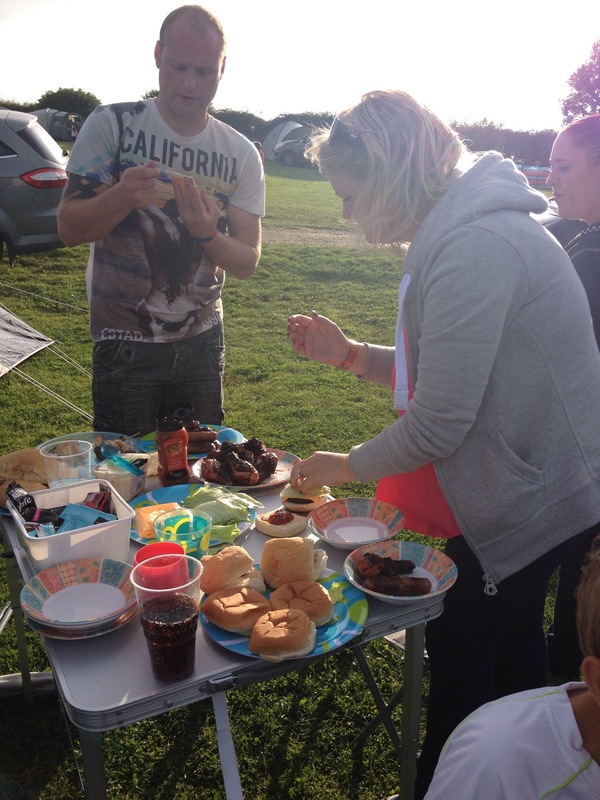 As the day drew to a close we borrowed a huge BBQ from Red Bank and fed (what seemed like) the five thousand. From chilli-season mackerel and reggae reggae chicken through to the mandatory burgers and sausage, we were all stuffed full by the time we’d finished and there was still some left! I love getting together to eat like this, where everyone brings something different and then we eat as though it were a buffet. Such a relaxed way of dining. It’s difficult to pinpoint the best thing about Red Bank Farm. 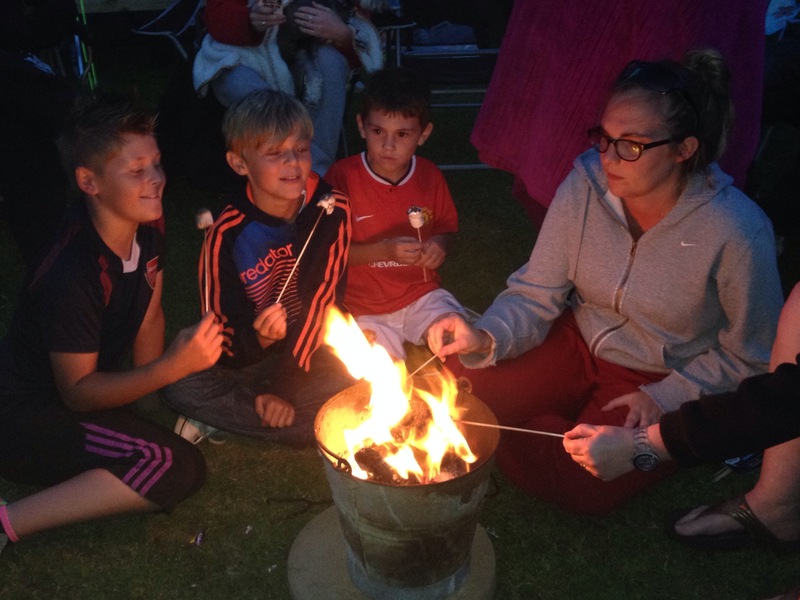 It could be the laid back atmosphere, the friendly staff or the way the pitches are fairly open plan, so as a group we can gather around the fire pit in the evening and toast marshmallows. I know that sounds like a cliché but the kids really enjoy it – even the big ones! And then, with full tummies and happy hearts, we slept. We slept until those pesky chickens woke us up. It was lovely. Quality time with friends and family is absolutely priceless. What a weekend.